Millions of people of all ages around the world are affected by crooked teeth. Although we are familiar with crooked teeth, you may not know why teeth become crooked or what can be done to fix crooked teeth. 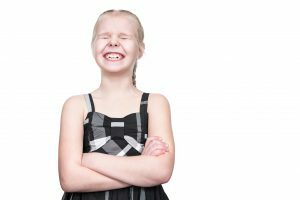 McMurray’s Orthodontist, Severns Dentistry & Orthodontics, has put together some helpful information on the causes of crooked teeth and your options for a straighter smile! When you lose your adult or baby teeth early, it can affect the position of your remaining teeth. When you lose a tooth, the teeth that remain can drift into the gaps that have become available. In some cases, baby teeth are replaced by adult teeth, which can overlap and crowd together when space is limited in the mouth. If dental restorations such as crown and bridges don’t fit correctly, they can put pressure on your teeth and cause them to change position. Ill-fitting dental restorations can also affect your bite. If your dental restoration begins to create any of these problems, it is crucial to contact Severns Dentistry & Orthodontics as soon as possible. Diseases or injuries that affect your gums, like gum disease, can have an impact on your teeth, causing teeth to become loose, change their alignment, and can even cause changes in your bite. In some cases, if your parents have crooked teeth, your genetics can have a significant impact on your chance of inheriting the same issues with your teeth or jaws. This is one of the most common causes of reoccurring with orthodontic patients. To keep your teeth straight, it is essential to follow your orthodontist’s instructions and consistently wear your retainer. Thumb sucking place pressures on your teeth and can force them to change their position. This can cause an open bite, where your upper and lower teeth will not bite together, leaving a gap between them. The force from an injury to your mouth or face can cause your teeth to change position and become misaligned. Injury to your face can also damage your gums or could also change the position of your jaw and shift your teeth. It is recommended for those who play contact sports to wear a gum shield. Your teeth tend to drift forward and become crowded as we age as your jaw bone loses density. This loss of density causes your jaw to change shape which causes your teeth to crowd in the front of your mouth. Regardless of the cause of your crooked teeth, there is a solution to correct them. Braces are a very effective way of straightening teeth and correcting your bite. Braces come in a variety of types from traditional metal braces to clear aligners like Invisalign and lingual braces, which are secured behind your teeth to straighten them discreetly. Contact Severns Dentistry & Orthodontics today to make an appointment with one of our expert orthodontists in McMurray.